20th November 2018 marked a special day in the calendar for Local Government: #OurDay. 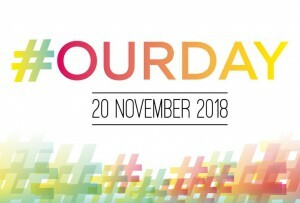 Organised by the Local Government Association, the hashtag #OurDay was used across Social Media channels on Tuesday to highlight the fantastic work that goes into making local public services work for their residents. The 24 hour social media marathon gave everyone who works or volunteers in local public services the chance to share their stories of how they improve the quality of life of residents. Videos, photos and stories were shared by hundreds of organisations, highlighting the individuals who put in the time and effort to keep such a wide range of services running smoothly. As Victoria Forms work closely with Local Authorities to provide comprehensive online services for Benefits, Revenues, Licensing, Environmental Health, Planning and Housing; we thoroughly enjoyed seeing stories from the departments we work with, as well as learning more about how other areas of Local Government work. You can find a roundup of #OurDay highlights on the LGA Our Day web page , which tells us that the #OurDay hashtag trended number 1 in the UK from 7am, as well as fourth worldwide! You can also explore Twitter’s #OurDay Hashtag to see all the individual posts from Councils and Local Services sharing their stories. We’re already looking forward to seeing what #OurDay 2019 has in store!